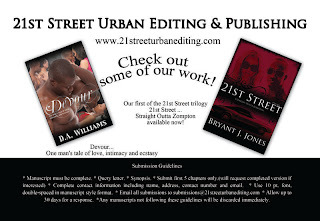 Who is 21st Street Urban Editing & Publishing, LLC? 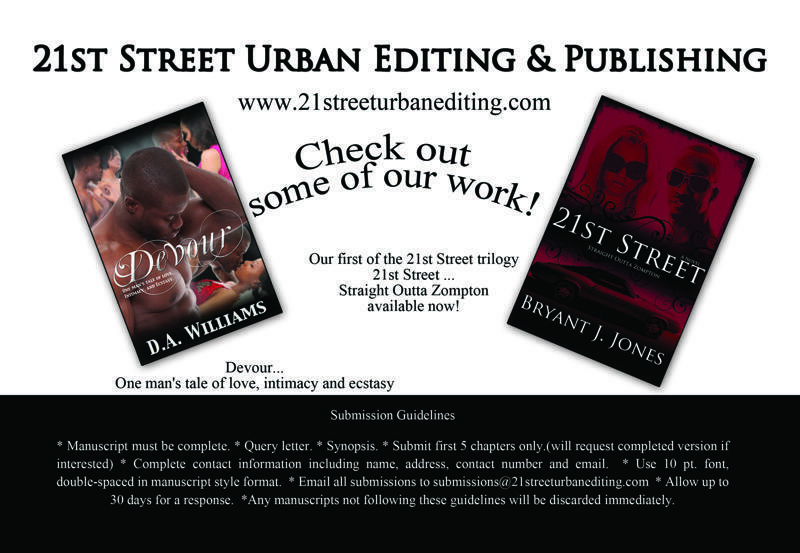 Out of frustration of searching for an Editor who would not "edit" out all of the intentional errors, our company was born... We are three friends, close enough to be family that decided to provide Urban authors with a service desperately needed. Our mission is to provide quality editing services to Urban literature authors as one would find with traditional editing services at an affordable price. Traditional editing companies do not always know how to properly edit urban fiction. We know that, sometimes, grammatical errors are intentional. In order to provide the reader with a real-life look into the mind of the author, some so-called mistakes and mispelled words are fundamental in keeping the urban tone. We encourage those aspiring to make sure that they do not leave the editing process out. Whether or not, they use our company, this is a crucial step if the writer wants to be taken seriously and put their best foot forward. It is virtually impossible to edit your own words because you know how its supposed to be written. Also, do your research when choosing a service. SOme of the fly-by-night "editing services are cheap, but you get what you pay for.